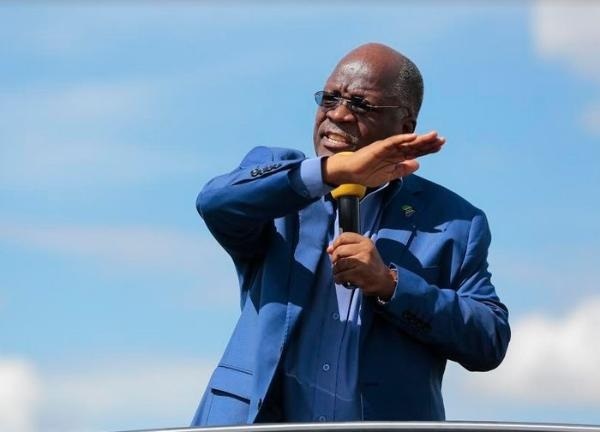 Thursday, April 11, 2019 - There was drama when Tanzanian President John Magufuli fired a police boss in public over laxity and then forgave him after prayers. This incident happened in Njombe when he was addressing a public rally. Fiery Magufuli accused Njombe Officer Commanding District (OCD), Sifael Pyuza, of sleeping on his job after unknown people kidnapped children and killed them in what is believed to be an occult practice and announced that he was no longer in charge of the district. “Is the OCD here? He must also leave. We must reach a point whereby we must be accountable for our actions. Seven children died. You must be held accountable.” Said Magufuli. After the speech, President Magufuli told Njombe resident to repent their sins and asked a pastor to pray. “I now ask for a religious leader to lead prayers. Njombe is a wonderful place but these killings have tainted the regions reputation. This habit must stop. If there is a pastor here, come forward and pray so that people can repent” Said Magufuli. After the prayers, he decided to forgive the OCD. “Thank you very much for the prayer. The OCD is now forgiven.” He said.